Mark is the president of R.F. 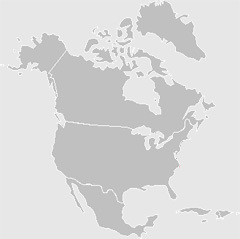 Chamberland, Inc. Following in his father Bob’s footsteps, Mark has been involved in all aspects of the family business since he was 18 years old. Marks duties include managing the day to day operations. Mark lives in St. Agatha with his wife Nicole and their 3 children, Nathan, Kyle, and Emma. He enjoys traveling, camping, and boating. Mark is an active member of the St. Agatha Volunteer Fire Department. He also serves on the Board of Directors of the local credit union. Dale is the vice president and co-manager of R. F. Chamberland, Inc. After college, Dale joined the company, and together with his parents Bob and Vi and brother Mark, has worked to make the company the success it is today. Dale currently works as manager of their newly developed cedar fencing business, Aroostook Woodsmiths. Dale and Mark decided to develop the cedar business in 2010 and haul cedar fencing to the northeast and mid-Atlantic. Dale lives in St. Agatha with his wife Ellen and their 4 children, Robbie, Kevin, Matt and Josh. He enjoys riding snowmobile and skiing. Dale is a Selectman for the Town of St. Agatha. Carole has worked for R.F. Chamberland, Inc. for the past 19 years. Formerly of Connecticut, she worked in the banking industry for 25 years before moving to St. Agatha. Carole enjoys traveling and is an active board member of the Ste-Agathe Historical Society. Carole’s duties include payroll processing as well as various other secretarial duties. Nicole is married to Mark Chamberland and has been with the company for the past 13 years. Her responsibilities include managing the personnel department, accounting, and warehousing. She enjoys camping with her husband and 3 children, and is actively involved in the local youth ministry program. Kyle started working at R.F. Chamberland in 2014 cutting lawn and washing trucks. In the fall of 2016 he started working in the office as a dispatcher. During his free time he enjoys fishing, riding boat and spending time at the lake. Chris joined R.F. Chamberland Inc. in late 2011. Chris works in dispatch and has had a background in trucking all his life. Chris enjoys hunting, fishing, snowmobiling and other Maine sporting activities. 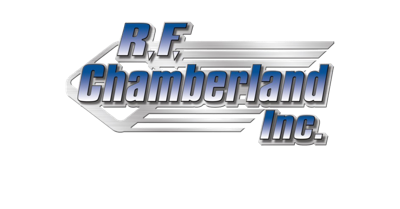 Christopher joined RF Chamberland Inc. at the beginning of 2014 as the Director of Safety & Compliance. He is responsible for ensuring compliance with USDOT and OSHA regulations, driver training, and coordinating safety programs monitoring safety in the workplace. Chris is a native of Fort Kent, Maine and a veteran of the U.S. Marine Corps. He retired from the Maine State Police as a Trooper with 25 year’s service where he specialized in commercial vehicle enforcement most of his career. Chris remains active in Law Enforcement as a reserve Patrolman with the Fort Kent Police Department. When off duty, Chris is active in his church and enjoys snowmobiling, fishing, hunting, and boating. Sonia started working for R.F. Chamberland, Inc. in late 2013. She has raised her children and lived in the St. John Valley all her life. In her spare time she enjoys riding four wheeler, fishing and other outdoor activities. Sonia’s responsibilities include processing drivers trip paperwork and other secretarial duties. Christina started working for RF Chamberland in November of 2016. She enjoys spending time with her family and also enjoys many outdoor activities such as riding side by side, camping, fishing, and snowshoeing. She recently got married and has a 1 year old son Colton. Brenda started working for RF Chamberland in October of 2016 as a secretary. Her hobbies include riding motorcycle, snowmobiling, working on the farm and gardening. She also enjoys spending time with her husband and her grandchildren. Wayne started working at R.F. Chamberland in 2009 as a long haul truck driver and is currently the service manager of the truck fleet since 2011. Wayne is a U.S. Army veteran and has 25 years in the truck and equipment maintenance field. In his free time he enjoys Motorcycle, hunting, snowshoeing and spending time with his 2 boys and fiancé Sandy. Jean joined the R.F Chamberland INC team in June 2017. Jean and her family make their home in Madawaska. She is married to Glen and they have 2 children Samantha and Nicholas. She is an active Girl Scout Leader and has recently taken on the Service Unit Manager position for the Girl Scouts of Maine - Emerald Service Unit. She is actively involved in the American Legion Riders. In her free time, she enjoys spending time with family and riding motorcycle and 4-wheeler.